Usually decreases are worked on alternate rows or at regular intervals. 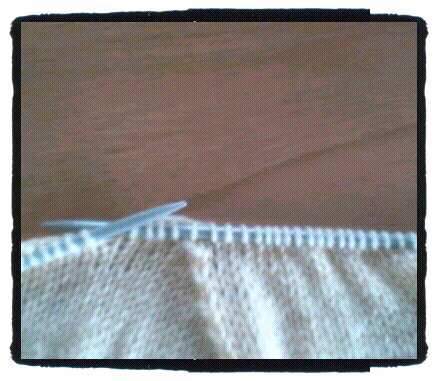 (1) Right side of work facing: knit two stitches together. 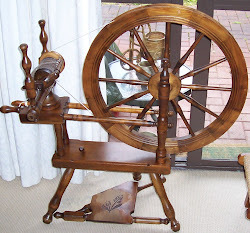 This can work well where there is a long piece with regular decreases, such as in the side of a pullover, since it forms a visible pattern of yarn. (2) A variation of method (1) is to knit two stitches together through the back of the loop.This produces a more subtle yarn pattern. 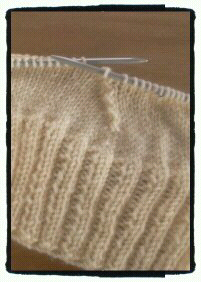 (3) Right side of work facing, slip a stitch from the left needle onto the right needle. 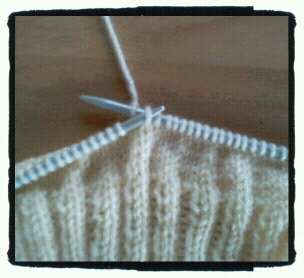 Knit the next stitch and then pass the slip stitch from right to left over the knitted stitch. 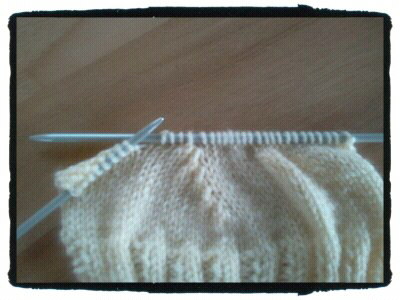 (4) For a double decrease knit three stitches together. (5) A variation of method (4) is to knit three stitches together through the back of the stitches). 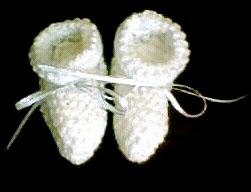 (6) Slip a stitch then knit the following two stitches together. Pass the slip stitch from right to left back over the two stitches that were knitted together. (7) A variation of method (6) is to slip one stitch then knit the next stitch, pass the slip stitch over the knit stitch and place it onto the left needle, pass the next stitch over it and then put the first stitch back on the right needle. (8) Slip two stitches over from the left needle to the right needle and then knit the next stitch. Now pass the two slipped stitches over the knit stitch. 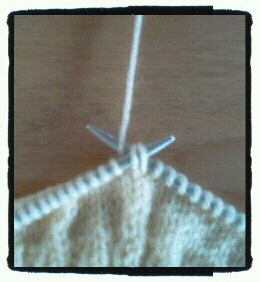 (9) Cast off a stitch: Knit a stitch and then slip the next stitch over it.